The total number of quakes in the state is about 1/2 of what it was two weeks ago, but they continue anyway. The earthquake that struck near Mexicali this afternoon was upgraded to a preliminary magnitude of 7.2, but there were no reports of major damage or injuries in San Diego or Los Angeles. There have also been several aftershocks in the last hour. items falling off of shelves. The Los Angeles Fire Department said their preliminary inspections of major infrastructure -- such as tall buildings, freeway bridges and stadiums -- found no problems. increase in 911 call load mostly associated with automatic alarms and stuck elevators. Again no significant damage or injuries reported," the LAFD said in a statement. San Diego County officials also said they found no significant damage. There were reports of people stuck in elevators. LAFD officials said they found broken elevators -- but no one stuck inside. Rides were temporarily closed at the Disneyland theme park in Anaheim. The temblor struck at 3:40 p.m. about 108 miles east of Tijuana. In Los Angeles, the shaking lasted for several seconds. Jeniffer Haynie, 59, of Hemet was sitting by the side of her bed reading the newspaper and got up when the ground began moving. faster for about a minute." As the ground shook, she said, she grabbed her Brussels griffon, Chewbacca, and told him to hang on. The quake lasted for about a minute, Hayne said. "That's a long time for an earthquake," she said. This part of Baja California -- near Mexicali -- has experienced regular seismic activity -- mostly small quakes but also some strong ones. Guadalupe Victoria has recorded numerous minor quakes in the last few weeks. the quake was so large it ruptured all the way into California. Hundreds of people so far have reported it on the "Did You Feel It" reporting system at the U.S. Geological Survey. moving in a faster motion. Put my whole equalibrium off big time. Still feel kind of off center. Felt it pretty much the same here. It was a gentle roll (which I would have estimated to be 20-25 seconds, but I could be wrong). At first, I thought I was just dizzy or something, and then I saw the hanging plant swaying considerably. they all had to hang onto something to keep from falling. It scared the cr** out of all of them too! Lasted a long time she said. Me, I've got big heart palps and we are off to join family for a biggy dinner. Take care all of you down there and put your breakables up 'cause there'll be aftershocks. geez, they were big and strong but so busy cooking, didn't think about it. Daughter said that everybody there feels nausea, dizzy, etc. Subject: else in AZ feels this 6.9??? LOS ANGELES - An earthquake centered in Baja California in Mexico shook buildings as far north as Los Angeles Sunday afternoon. The earthquake was centered in the Baja California, about 16 miles south-southwest of Guadalupe Victoria, the United States Geological Service said. The quake had a magnitude of 6.9. High-rise buildings in Los Angeles and San Diego rocked back and forth as the quake hit. The earthquake shook houses in Los Angeles for roughly a minute, and aftershocks then followed. The 6.9 earthquake occurred about 20.1 miles below the earth’s surface, the geological survey said. Experts have said that such a depth increases the chances that the earth might absorb a majority of the shock, reducing the chances of damage on the surface. A 6.9 earthquake can cause major damage in structures, crack the ground and shift foundations. There were no immediate reports of damage or injury. The Los Angeles Fire Department went on earthquake alert and began inspecting overpasses for damage. The geological survey reported another 3.4 earthquake at 3:55 p.m. centered 35 miles east-northeast of San Diego. It was not immediately clear if that was related to the 6.9 earthquake. A viewer told CNN that their boat in San Diego Harbor began rocking from the quake and that pilings began shaking for several seconds. fruit basket in the kitchen. I felt it rolling hard for almost a minute. Very scary, everything shaking. Having a burger in Wendy's in San Bernardino and felt the 10-15 second rolling motion. 6.9 shock house hard (next to downtown) still aftershocks rockin! crazy! Felt it in Phoenix. Live in a mid-rise condo and the window coverings all began to sway. I was at the kitchen sink washing some dishes and listening to a Peggy Lee CD when I felt and heard what sounded like a train running through my house. Luckily when I realized what it was, I was near the kitchen door to my back yard and out I went. When I turned and faced the house I could see my patio window and and other windows undulating like waves in the ocean. When I went back into the house I found some books, papers, baseball caps on the floor of one the rooms. Been through 1971 Sylmar quake, lived 3 miles from 1994 Northrige quake which felt like someone was underneath our house with a massive jackhammer, this one felt like being seasick on a boat. Maybe because we're 300 miles from epicenter, but it felt like very deep plate movement. See you later Baja Ca, we have a new coastline. We felt it here in metro Phoenix--pretty rare for us to feel that. Felt it here in Phoenix; pool water sloshing around, light fixtures swaying. Any information about damages in Baja? A strong earthquake occurred at 3:40:39 PM (PDT) on Sunday, April 4, 2010. The magnitude 6.9 event occurred 26 km (16 miles) SSW of Guadalupe Victoria, Baja California, Mexico. A light earthquake occurred at 3:49:44 PM (PDT) on Sunday, April 4, 2010. The magnitude 4.1 event occurred 4 km (3 miles) SW of Cobb, CA. The hypocentral depth is 4 km ( 2 miles). A light earthquake occurred at 4:04:00 AM (PDT) on Tuesday, March 16, 2010. The magnitude 4.4 event occurred 1 km (0 miles) ENE of Pico Rivera, CA. The hypocentral depth is 19 km (12 miles). Region: GREATER LOS ANGELES AREA, CALIF.
A 5.0 quake with an epicenter just south of Hollywood Park, Inglewood rattled the greater Los Angeles area at 8:39pm local time Sunday, May 17. The quake, felt across the entire Los Angeles area, is one of the larger quakes in recent times, and the closest quake to the center of Los Angeles itself. At the time of writing there were no reports of injuries or damage. More when we have it. Update: reports say it was felt as far South as Long Beach. A light earthquake occurred at 10:40:29 AM (PDT) on Monday, March 30, 2009. The magnitude 4.3 event occurred 18 km (11 miles) N of Morgan Hill, CA. LOS ANGELES (AFP) — A moderate, 4.7-magnitude earthquake shook southern California Tuesday, according to the US Geological Survey, with no immediate reports of injuries or damage. The tremor hit at 4:55 am (1155 GMT), 3.5 miles (5.6 kilometers) underground, centered some three miles (four kilometers) from Bombay Beach, which is on the Salton Sea, a large lake in the Salton Sink desert basin, the USGS reported. The town is some 90 miles (144 kilometers) east of San Diego. Geologists say an earthquake capable of causing widespread destruction is 99 percent certain of hitting California within the next 30 years. A study published last year said a 7.8 magnitude quake could kill 1,800 people, injure 50,000 more and damage 300,000 buildings. A 6.7 earthquake in Los Angeles in 1994 left at least 60 people dead and caused an estimated 10 billion dollars in damage, while a 6.9 quake in San Francisco in 1989 claimed 67 lives. Just north of San Francisco, an area called 'The Geysers' which is not unfamiliar to earthquake swarms. However, a recent escalation in magnitude has invited a heightened concern. A 3.7 magnitude quake occurred on Feb. 20th which is a triggering signal for seismologist to take note and monitor more closely. Hundreds of small quakes measuring between .05 to 3.0 mag. have been rumbling for many days, but it is Friday's 3.7 that has brought some attention to this area north of San Francisco. The U.S. Geological Survey says a quake with a preliminary magnitude of 3.2 hit the Trona area of San Bernardino County at 10:08 a.m. Saturday. The epicenter is about six miles from Telescope Peak and about 44 miles northeast of Ridgecrest. Dispatchers for the county Sheriff's Department and Ridgecrest police say they had no reports of injuries or damage. A cluster of earthquakes — the largest a magnitude-4.1 — jolted the same area last month. 1-5-09 - Everyone was excited about this swarm of quakes that started yesterday, but when I looked at the map from 9-18-08 I see that its the same place. Since there is a huge swarm of quakes at Yellowstone Park I wonder if they are connected underneath the earth. The California map below has 521 quakes on it for the week, but the area covered is much larger than the Yellowstone quake area. The quakes on the map on the right is contained in the larger yellow square of northern California which you see on the left. This area is called 'The Geysers. This area is not unfamiliar to quake swarms. However, a recent escalation in magnitude has invited a heightened concern. 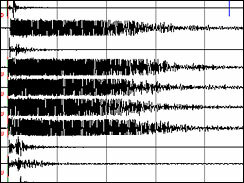 A 4.2 magnitude quake occurred on 1-4-09, which is a triggering signal for seismologists to take not and monitor more closely. Hundreds of small quakes measuring between .05 to 3.0 magnitude have been rumbling for many days, but it is yesterday's 4.2 that has brought some attention to this area north of San Francisco. 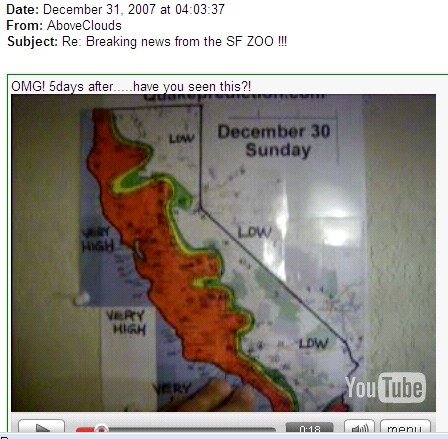 9-18-08 - on this date I had a vision which told me that on 9-19-08 - there would be an earthquake. Nothing unusual there, but I was overcome with such exhaustion to get this message - that was not normal. 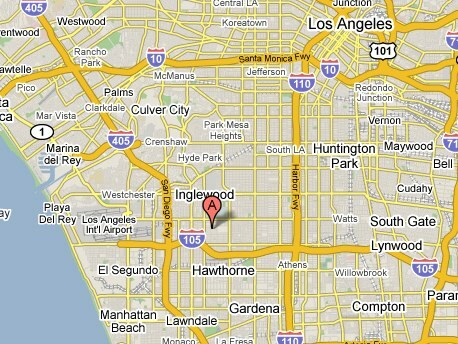 Nothing BIG happened on the 19th, but take a look at this map which is rather close to our house. It's really hard to count the number of earthquakes on that map and the quakes have not stopped - they are still continuing today - not just yesterday. Here are the other earthquakes from yesterday that could relate to the message I got. MENTOR (AP) - A handful of northeast Ohio residents felt a minor earthquake centered in Lake Erie just off the shore of Mentor. Mike Hansen of the Ohio Seismic Network says preliminary data shows the 9:04 p.m. Wednesday quake had a magnitude of about 2.7. He says the area is a hot spot for seismic activity, with nine earthquakes in 2007 and 14 in 2006. He says the Mentor police contacted him Wednesday after receiving a few calls from residents who felt a jolt or heard a boom. He then contacted seismic stations in the area to confirm the quake. BAKERSFIELD, Calif. -- A small earthquake rocked people living west of Bakersfield, just after 10:00 am on Thursday. A 3.1-magnitude earthquake shook Diamond Bar late Thursday. The quake was centered about three miles southeast of the city and was reported at 11:22 p.m., according to the U.S. Geological Survey and Caltech in Pasadena. People living as far away as Rancho Cucamonga, San Dimas and Azusa felt the quake. Los Angeles County sheriff's deputies received no reports of injury or damage. These quakes are continuing on the 20th. What's going on there? LOS ANGELES (AP) — A strong earthquake has shaken Southern California. The late Tuesday morning jolt was felt from Los Angeles to San Diego, and slightly in Las Vegas. Preliminary information from the U.S. Geological Survey estimated the quake at magnitude 5.8, centered 29 miles east-southeast of downtown Los Angeles near Chino Hills in San Bernardino County. Los Angeles Fire Department spokesman Brian Humphrey said there were not immediate reports of damage or injury in Los Angeles. The 5.8 quake was demoted to a 5.4 quake after an hour. No building damage is being reported, though some buildings swayed as much as 3 feet it was reported. There seems to be some ground damage - a broken water main or two in downtown areas, Someone else reported an upliftment of some area of ground, but that was not confirmed as yet. idea of how recent the quakes happened. to make room for more earthquake squares. There were more than 30 aftershocks! Geologist Jim Berkland spoke about today's quake in So. Cal. He'd accurately predicted a quake window starting on July 29th on his last show appearance. He noted that current extreme tides around the world raise the likelihood of seismic activity through the first days of August. CHINO HILLS, California: Despite shaking a large swath of Southern California, a magnitude 5.4 earthquake was not the "Big One" that scientists have long feared. Still, it rattled nerves, causing people to vow to step up their emergency preparations. The quake, which was felt Tuesday from Los Angeles to San Diego, caused only limited damage and minor injuries, and served as a reminder of the seismic danger below sprawling freeways and housing developments. The epicenter was just outside Chino Hills, about 30 miles, or 50 kilometers, southeast of the center of Los Angeles. Dozens of aftershocks followed. "We were really fortunate this time," said Captain Jeremy Ault of the Chino Valley Independent Fire District. "It's a good opportunity to remember that we live in earthquake country. This is part of living in Southern California and we need to make sure we're prepared." To prepare for the "Big One," scientists and emergency planners will hold in the fall what is described as the largest earthquake drill in the United States. It will be based on a hypothetical magnitude 7.8 earthquake. CNN) -- A magnitude 5.2 earthquake shook a rural part of northern California on Tuesday evening, according to the U.S. Geological Survey. The moderate quake hit shortly after 8 p.m. (11 p.m. ET) about 11 miles east-southeast of Willow Creek, which is about 190 miles northwest of Sacramento. Nita Rowley with the Williow Creek Chamber of Commerce said she felt the earthquake as a rolling jolt, but had not received any reports of damage. At the Humboldt County Sheriff's Office in Eureka, Sgt. Diana Freese said several people had called to ask whether a quake had struck. She said the office had received no reports of injuries or damage. "It was a roll and a shake," she said. (AP) A moderate earthquake hit a mountainous region of Northern California on Tuesday night. There are no immediate reports or injury or damage. The magnitude-5.2 temblor struck at 8:03 p.m., centered about 11 miles southeast of the town of Willow Creek in the Shasta-Trinity National Forest, according to the U.S. Geological Survey. Willow Creek is about 320 miles north of San Francisco. 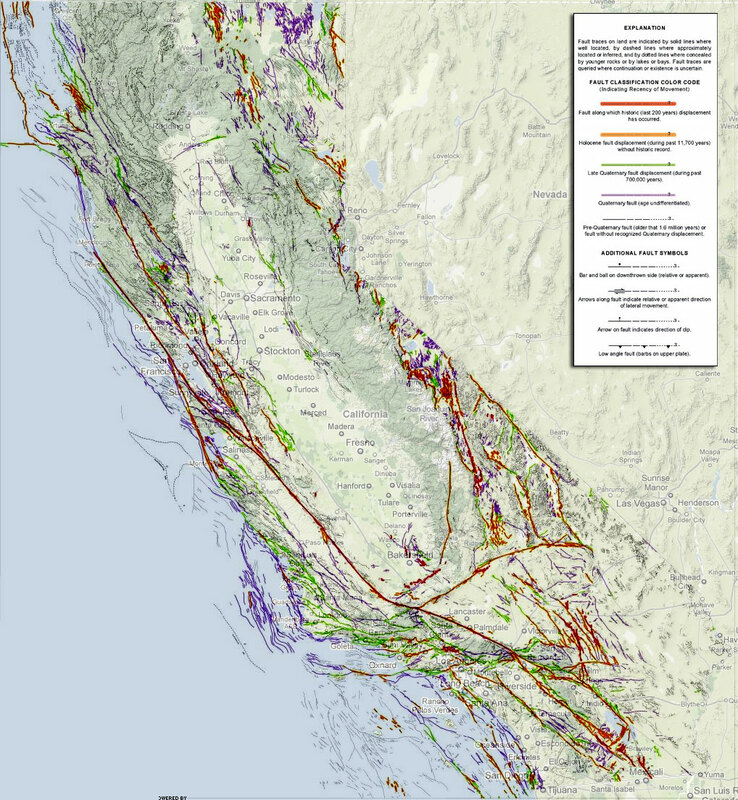 The quake originated about 11 miles below the surface on an unmapped fault, said David Oppenheimer, a USGS seismologist based in Menlo Park. Because of its depth, few aftershocks were felt, scientists said. About three were recorded, with the largest measuring a magnitude 2.4, the USGS reported. The quake was widely felt within about an 80-mile radius, as far north as the Oregon state line and as far south as Mendocino County, according to citizen reports posted on the USGS Web site. Mary Daher, owner of the Bigfoot Motel in Willow Creek, said the quake lasted 10 seconds or less. "It was pretty quick and it was pretty strong," Daher said. "It wasn't like one of those rolling earthquakes. It was just a jolt." She said she and her guests headed outside quickly but she was not aware of any damage. One guest said the quake sent his soda sliding across a table. The town of 1,800 sits on Highway 299, the main conduit between Redding and Arcata, home of Humboldt State University. It has long been a draw for college students escaping the coastal fog to sunbathe along the nearby Trinity River. The quirky hamlet, surrounded by thick forests, also markets itself as California's "Bigfoot capital" and displays numerous wood carvings of the mythical creature. The last significant earthquake in the region was on April 25, 1992, when a magnitude 7.2 temblor struck on the Humboldt County coast near Petrolia, triggering a minor tsunami, according to the USGS. No tsunami warning was issued for the quake Tuesday night. © MMVIII The Associated Press. All Rights Reserved. Times are posted in Coordinated Universal Time (UTC). Convert to local time. California must be moving quietly but consistently this week. A moderate earthquake occurred at 11:12:07 PM (PST) on Friday, February 8, 2008. The magnitude 5.4 event occurred 26 km (16 miles) NW of Guadalupe Victoria, Baja California, Mexico. The hypocentral depth is 7 km ( 4 miles). There has been a swarm of quakes in this same spot since the one above, at least 12 so far all in the 1 to 2 range. The latest one in the last hour was a little larger and a little farther to the southwest of the large one. .
MEXICO CITY - A moderate earthquake rocked Baja California, shutting down factories near the U.S. border and leaving 400,000 people without power into early Saturday, authorities said. However, no major damage or injuries were reported. The quake that struck at 11:12 p.m. Friday had a magnitude of 5.1, according to the U.S. Geological Survey in Golden, Colo. It had initially calculated the magnitude at 5.4. The quake was centred 25 kilometres southeast of the border city of Mexicali and 160 kilometres east of Tijuana. "It has been felt pretty widely in Southern California, southwestern Arizona and probably northern Mexico," said USGS geophysicist Jessica Sigala. It was followed by at least 25 smaller aftershocks. The quake left about 400,000 people without electricity and 1.2 million without cellular telephone service, but service was restored at around 4 a.m. local time, said Fire Capt. Rene Rosado, director of civil defence in Mexicali. About 80,000 workers were evacuated from or were unable to enter local factories for Sony, Honeywell and other major corporations, he said, but the factories had all reopened by Saturday afternoon. Two bridges showed five-to seven-centimetre cracks and were closed until engineers could determine they were safe, he said. Rescue workers were examining Mexicali schools, many of which are made of adobe, for cracks and other damage, said Alfredo Escobedo, director of Baja California civil protection. Oscar Vega, the state's education secretary, said classes were expected to resume Monday, but his department would make an announcement when it knows if the buildings are safe. This quake is farther north than the red warning zone below, but its size is phenomenal. 6.4 and that fits the warning too. 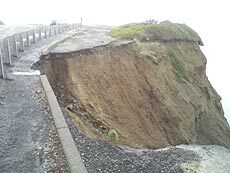 Coastal damage from high waves, but probably not connected to quake. Manzanita, Oregon) - A magnitude 6.4 earthquake occurred off the Oregon coast Wednesday night, as high winds and rain began pummeling the region - both of which have turned out to be uneventful. At 5:37 p.m., the U.S. Geological Survey reported the quake about 151 miles off the Oregon coast. It happened at a depth of 6.2 miles, and did not warrant a tsunami warning. Police dispatchers in numerous coastal communities said they had not received any calls from people who felt the quake. The U.S. Coast Guard also reported no quake-related problems. Breakers in Manzanita on Wednesday have been enormous, thanks to high winds offshore which tend to make bigger waves well ahead of the actual storm. Seas are reaching 17 foot swells, making the frothy waves come almost up to the dunes of this normally broad, sandy beach. At around midnight on Wednesday, it is 50 degrees with medium rain, and winds up and down the coast mostly around 25 – 40 mph. Occasional wind gusts as high as 70 mph have been recorded in some spots. I don't expect this link to work for very long.